Wireless and Satellite Internet Services at Psand.net. 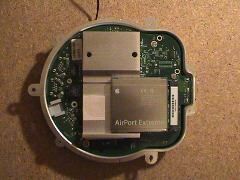 Having recently got our hands on the new 802.11g type base stations from Apple, dubbed Airport Extreme by Jobs and Co, the first thing we did of course was take it a part and see what it's made of. Here's a few pictures and comments about what we found. First trick is that you need a Torx size 7 screw driver to remove the three screws in the base of the unit. 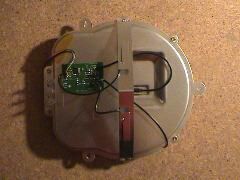 Second trick, and unlike it's predecessor, there is a screw that holds the inside unit to the outer casing that needs to be removed before you can proceed. 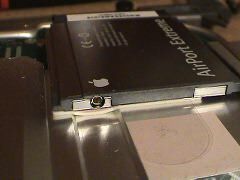 It is under the sticker giving the MAC address information on the bottom. Carefully remove this sticker and take out the screw. 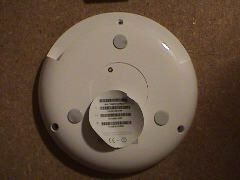 Remove the screw under the label on the bottom. 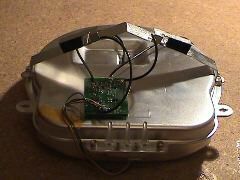 Now we have the lunch pack shaped inner housing, with the internal antenna mounted inside. 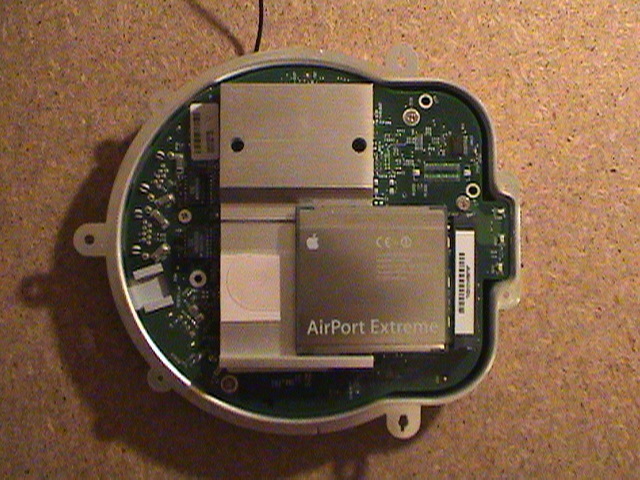 Once you carefully undo the four small screws that hold the inner housing together, avoiding putting pressure on the internal antenna when turning the unit upside down to undo them, we see that the card side is an actual Apple AirPort Extreme card and that it has an external connector, so the unit can be pigtailed following the instructions for the older AirPort base station described here. 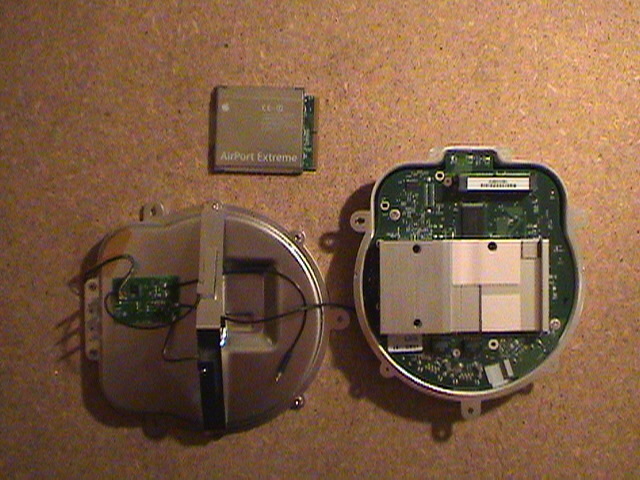 As you can see from the comparison below, the external connector on the base station is of a different type from that on the card. 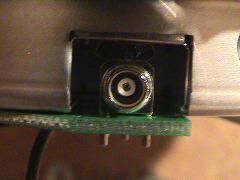 Whereas this means that you'll need different types of plug to connect to each, it does give you more flexibility on the type of antenna you can use with the base station.